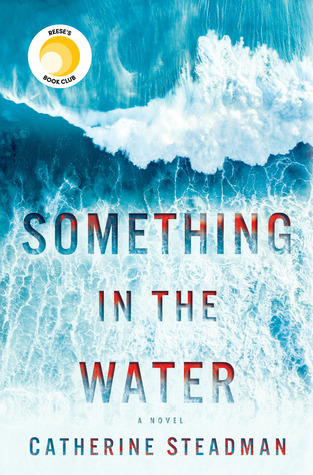 Synopsis: A shocking discovery on a honeymoon in paradise changes the lives of a picture-perfect couple in this taut psychological thriller debut–for readers of Ruth Ware, Paula Hawkins, and Shari Lapena. This truly has been my summer of suspense novels! I just cannot get enough of them and summer seems like the perfect time to read some things a bit on the darker side. Something in the Water is about a couple, Erin and Mark. They get married and go on the ideal honeymoon to Bora Bora. However, while they’re enjoying some time out diving in the ocean, they come across tons of papers floating in the water, a plane crash and then a bag. The contents of the bag are what starts the couple down a dark, unknown path. This book was so fun to read. I don’t know how the author managed to do it, but the entire time I was reading I felt like something ominous was lurking just outside of my reach. As a reader, you spend a lot of time in Erin’s head and sometimes you can see things that she isn’t quite catching, but at the same time you don’t know for sure what it means either. You know something is going to happen, and things feel dark, but it’s all overlaid by this lovely marriage and Erin’s job as a documentary film maker. I couldn’t put this book down and spent an entire busy weekend reading in the quiet moments, sneaking a few paragraphs in where ever I could because I just wanted to know what happens! But that is where a star is lost for me. Slight spoiler ahead! I didn’t feel like I got as many answers as I would have liked. I was still left wondering at the end why it all started, what was the initial thing that set this all in motion and where did it all go wrong? Maybe it’s better that we don’t know since it doesn’t necessarily fit into the story, but I just felt like I needed a few more answers. For more great summertime suspense novels, check out my post here! Thank you so much to Random House Publishing – Ballantine & NetGalley for sending me a copy in exchange for an honest review!